Bob Parker introduced me to Henri Bonneau’s wines many years ago. Unfortunately, I don’t get a chance to drink Châteauneuf as often as I would like, and had nearly forgotten I had a few bottles of the 2001 Réserve des Célestins squirreled away. 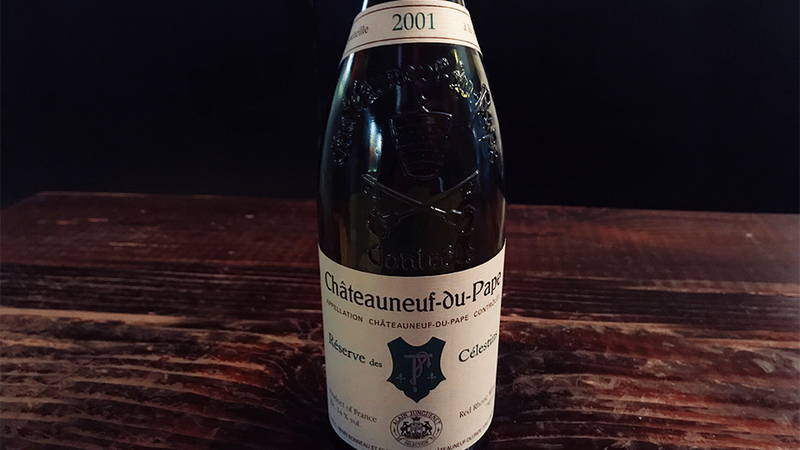 A recent Vinous team dinner was the perfect occasion to check in on the 2001.